Trestle Ridge and the exclusive neighbourhood The Edge are new real estate development projects in the Upper Mission of Kelowna. 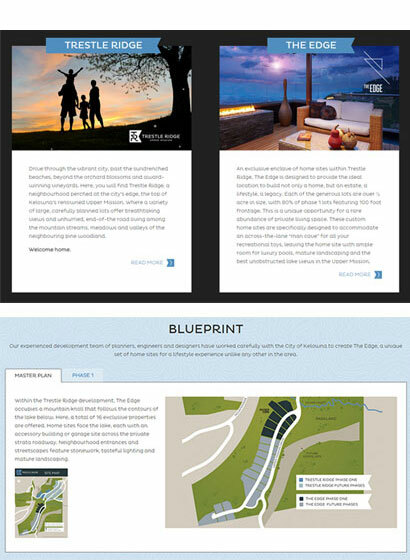 With competition in the market for building sites for executive homes fairly intense the developers online marketing needed to showcase the amazing location and highlight the lifestyle possible.The custom website design brings a certain style and sophistication to the project and accurately reflects the marketing behind the real estate project. The challenge online was to create an experience where the new owner could envision themselves in their new home, pool, detached garage and million dollar views. Strong visual tools were required as the project was at the bare land stage with no showhome to present. This involves an organized marketing approach using print, radio, TV, and the Internet to bring the buyer to the sales team via the web site. 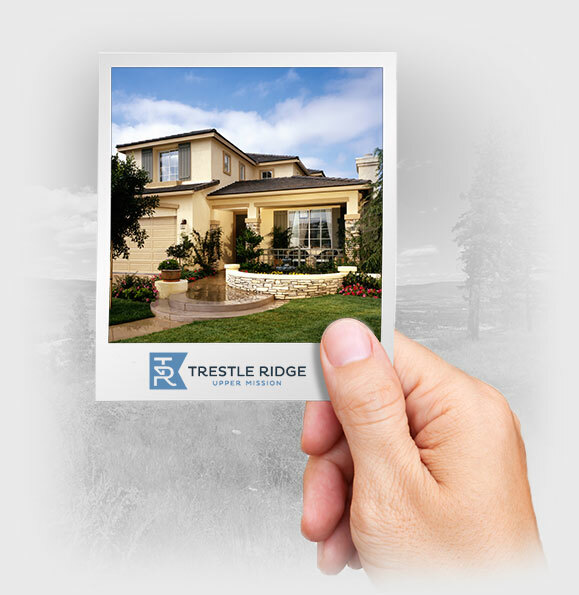 Once the visitor arrives at the custom website design the objective was to have them see the potential of the building sites in Trestle Ridge and the uniqueness of the lots in The Edge and call to learn more about availability, building plans and the amenities in the area. To say the view from Trestle Ridge is amazing is an understatement. The properties look directly up Okanagan Lake with an amazing view of West Kelowna and Kelowna proper. You are on a gentle slope that is above Kettle Valley with the Okanagan Mountain Park behind you and Cedar Creek just to the south. It is peaceful, beautiful and exclusive. Understanding the buyer and the family that will build in this location was one of the challenges for the custom website design. Spincaster needed to present the possibility of what could be built here, the emotional wellbeing of living in a place this idea and the benefits of having a home here for family and friends. We also needed to design the website for a demographic who is on a tablet or phone as much as they are on a laptop or computer. Spincaster designed a very visual site with an overview of the neighbourhood and an exclusive sub-site for the Ultra high end The Edge gated community. With great attention to detail we kept the flow of information to a minimum presenting the site plans, location, building requirements and general details all one click deep or less. We used excellent local photography and stock images to emphasis the potential of the lifestyle available. And we built a custom registration form that is both elegant and easy to complete. 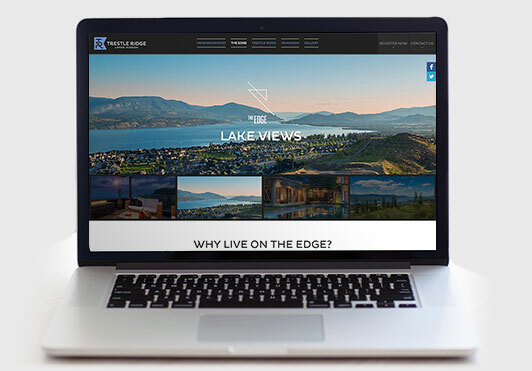 It would not be boasting to say that the new Trestle Ridge custom website design is one of the nicest real estate development sites in the valley. Designed for a tablet the user can easily envision what to expect if they lived in the community. The Edge is particularly cool with its detached garages that are as big as some homes. With the visual galleries and strong calls to action it is a very enticing offer and is generating strong conversations for the developer. Keeping a keen eye on design in the planning and strategy stages and working closely with marketing and sales objectives, can results in a highly functional custom website design solution.